The world's leading messaging platform, WhatsApp, became known for its simple to use interface and secure encrypted message transfer. Nowadays, however, WhatsApp offers much more features, and some of them might even not be to your liking. For example, by default the sender can see whether the recipient of the message has read it. This might not always be optimal, and thus we've decided to give you a simple trick that some of our readers might have overlooked. 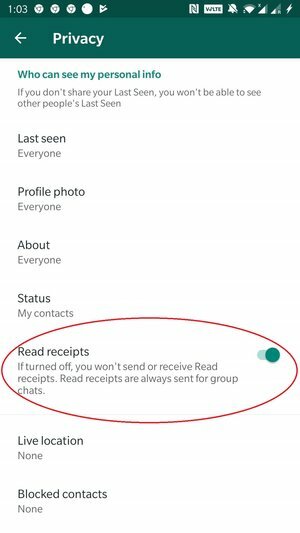 To avoid your contacts to see whether you've read their message or not you must disable the checkmark feature, called Read receipts. This feature offers three distinct checkmarks, which tell you whether the message has been a) sent, b) received, c) read. In the same order, the first of these is the single gray checkmark, the second grey double checkmark, and the third is the blue double checkmark. To disable this feature you'll head to the Settings menu, which is found from the three dot menu on the right top corner. 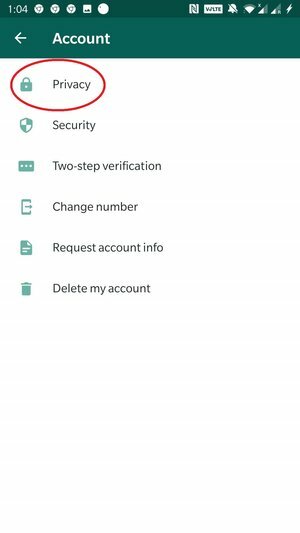 Select Account -> Privacy. You should find an option called Read receipt with a description saying "If turned off, you won't send of receive Read receipts. Read receipts are always sent for group chats." Turn this off, and you will no longer send or receive these checkmarks except for group chats. 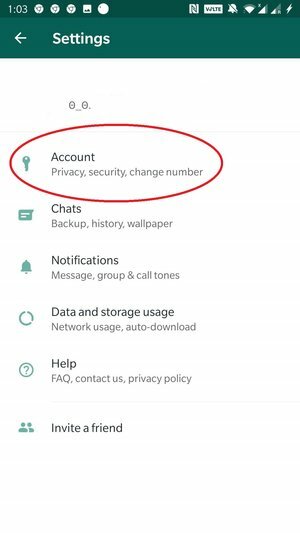 Also note that this includes all contacts, and you cannot disable or enable the feature by contact basis. That should be it, now you don't have to worry about people knowing whether you've read the messages that have been sent to you.